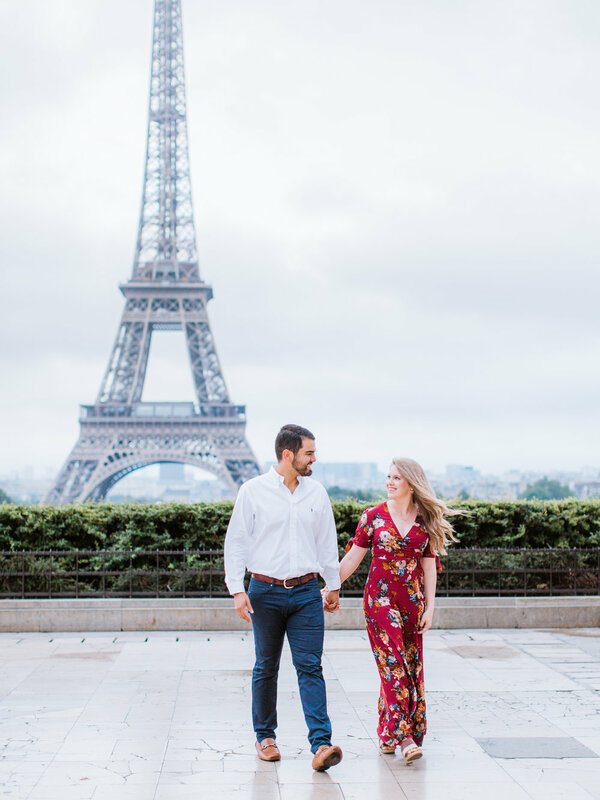 Paris has always been on my list of places that I wanted to visit, but a part of me always wanted to save it until I could come with my husband. The city of love... there's just nothing like it! It completely lived up to all of my expectations and I was so lucky to walk the cobblestone streets hand in hand with the one that I love! As a photographer, I always get bummed that there are not many photos of us together on our vacations because not many random bystanders know how to handle my DSLR camera. We always end up with blurry and out of focus pictures, so we resort to the iPhone and hope that we are in the frame! 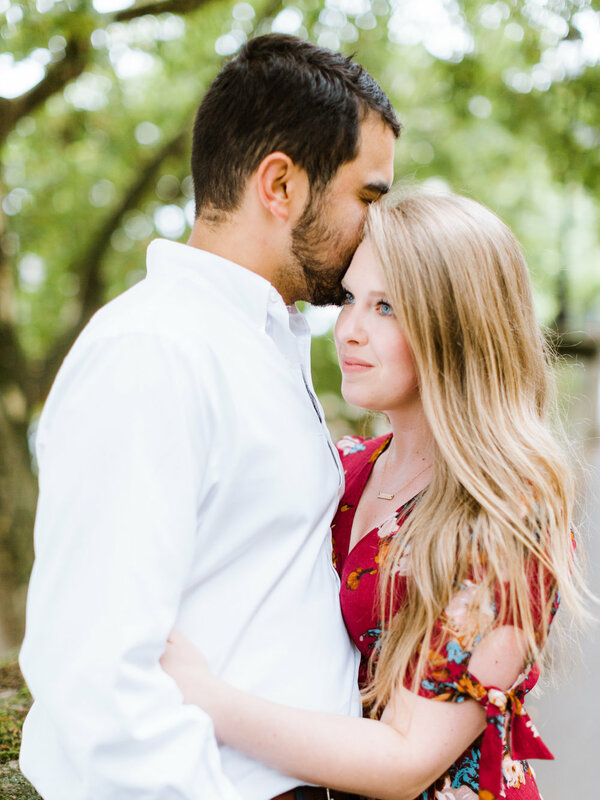 My husband and I hadn't had pictures taken of us together since our wedding two years ago, so I started thinking about doing an anniversary session and also incorporate it with our vacation. I got on Google and Instagram and started doing some research about photographers in Paris. I came across Ian Holmes' website, and knew that I wanted him to take our pictures! His photos looked so effortless and I loved his aesthetic. We met Ian at the Torcadéro early one morning and it was an instant connection! He was kind, sarcastic, and made us feel calm in front of the camera. We really enjoyed our morning spent with him and truly felt like we were the only ones in Paris that morning. It was such a beautiful feeling waking up before everyone else did and having the city to yourself! And to my wonderful husband...I know that you'd rather be hiking mountains and going mountain bike riding, but I appreciate you frolicking around the streets of France with me and eating our weight in croissants. The last 2.5 years with you have been such a wonderful journey and I am grateful to do life with you by my side! I love you!